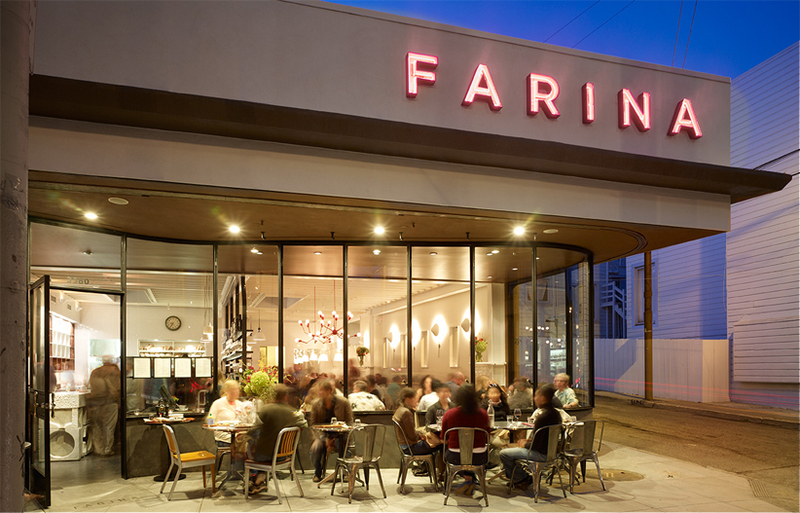 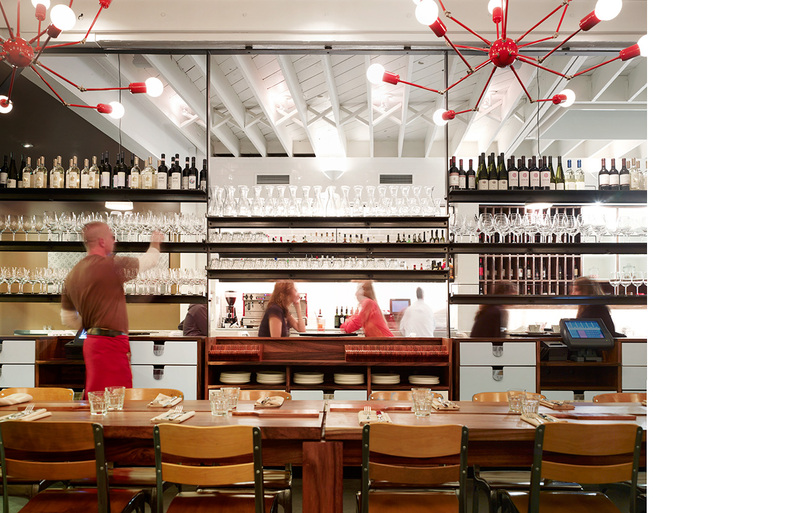 Farina is housed in a renovated mid-century cookie factory sited in a residential section of San Franciscoís Mission District. 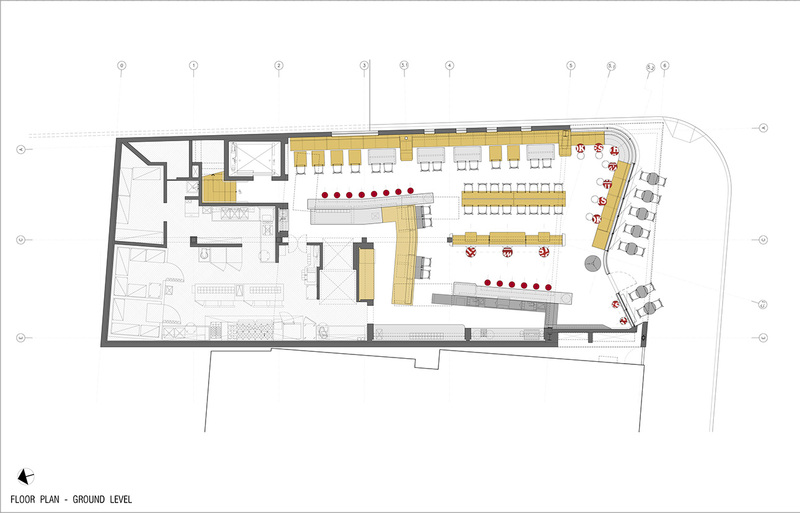 The design solution is expressed as an overlay of a modernist composition of space coupled with a solid and simple material palette. 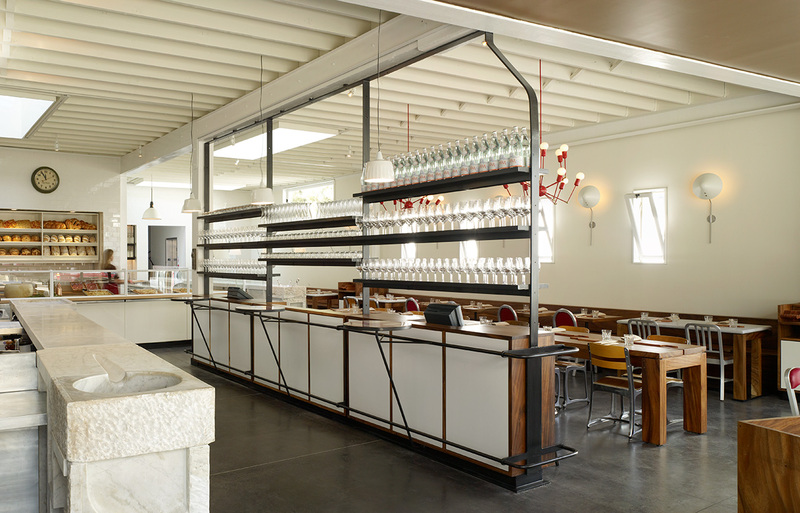 The centerpiece of the space is a theatrical food preparation counter which is flanked by a pair of linear marble counters and a large credenza and shelving unit. 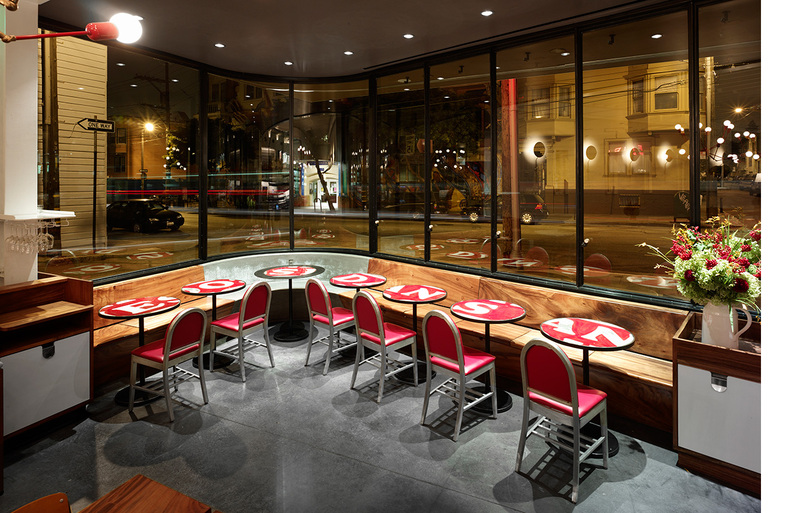 These elements divide the space into smaller intimate dining zones while maintaining circulation efficiencies. 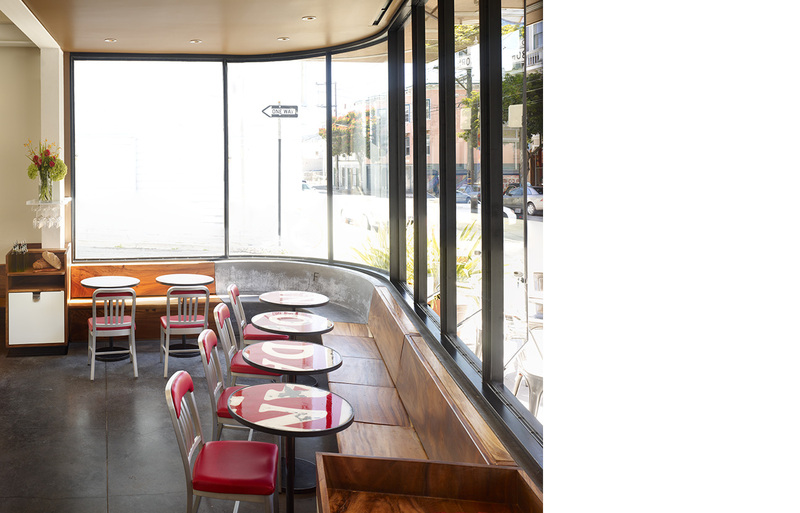 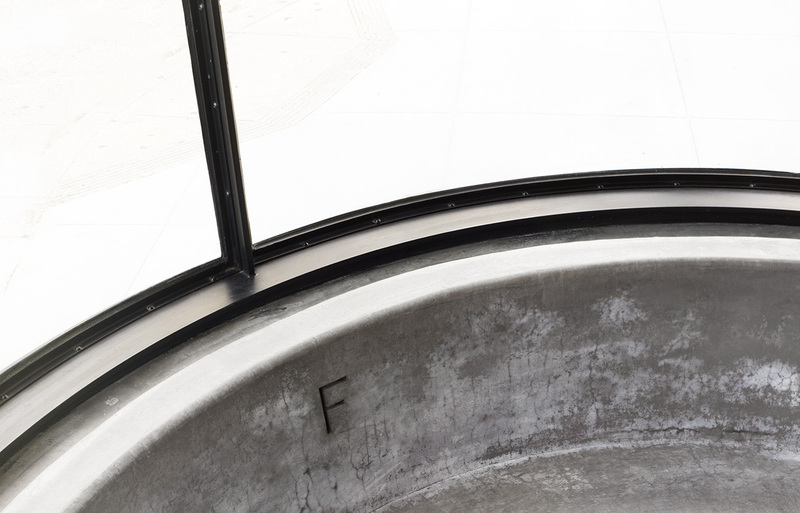 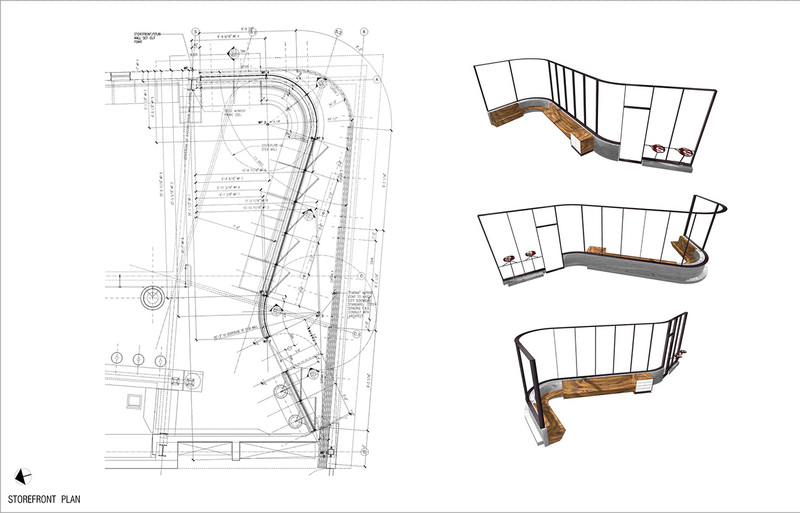 The serpentine steel and glass operable storefront, captured by the cantilevered building tip and inset from the building face, relates to the eponymous Victorian curved corner window while allowing for ample sidewalk seating within the property line. 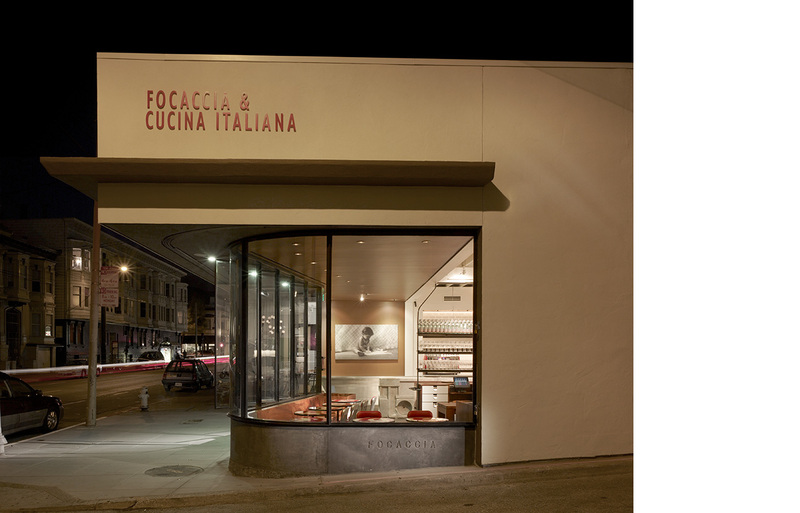 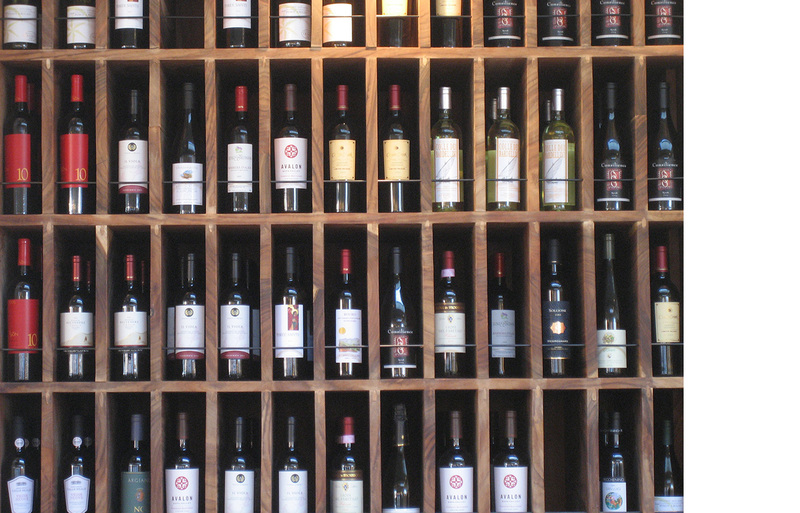 Farina creates a dining experience in which materials, textures, and lighting harmonize with the simplicity and origins of the cuisine being served. 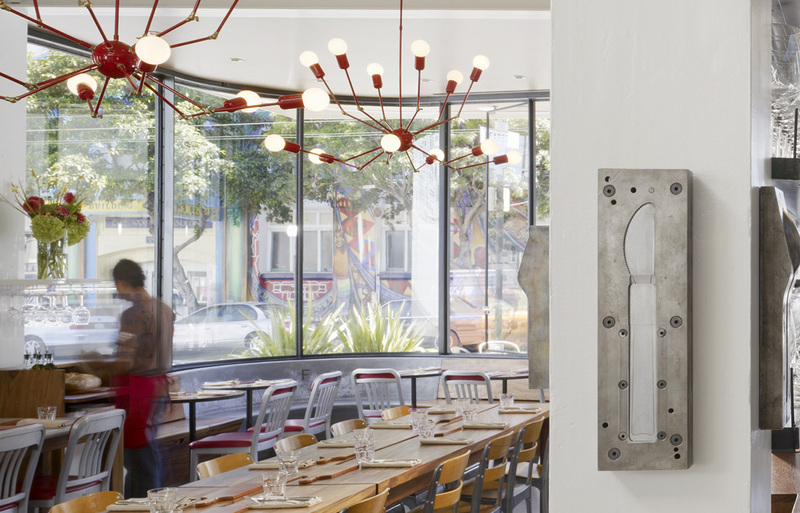 The reclaimed material palette of thick marble slabs, solid wood, and blackened steel lends a sense of both warmth and permanence. 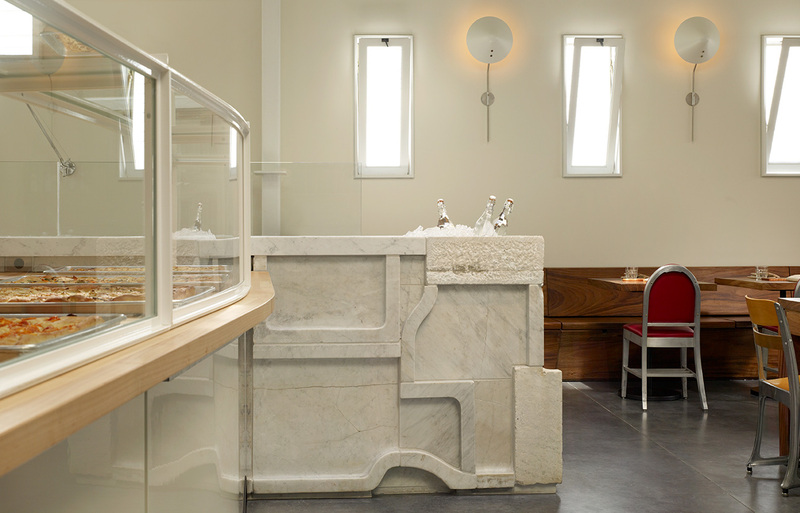 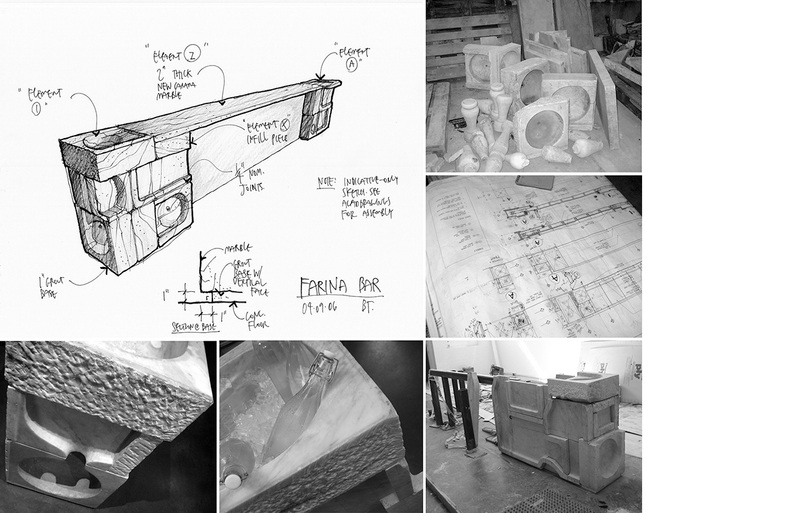 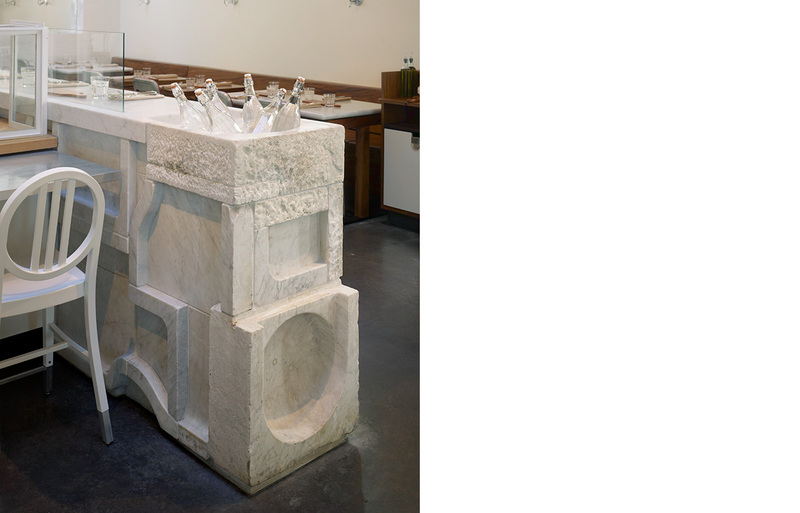 The marble counters are composed of antique hand-hewn sinks and drain board fragments sourced from an Italian salvage yard, reassembled as sculptures of domestic archaeology. 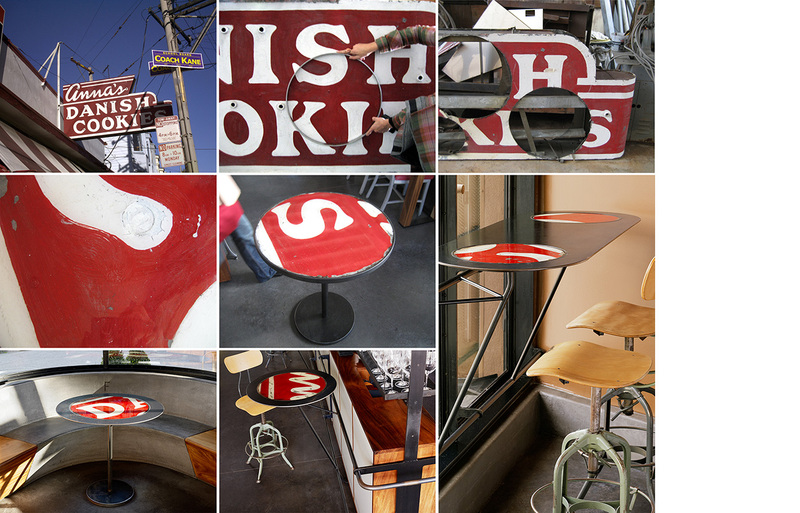 The table tops were laser-cut from the original vintage building signage and the original dough mixing handles were salvaged for the entry door. 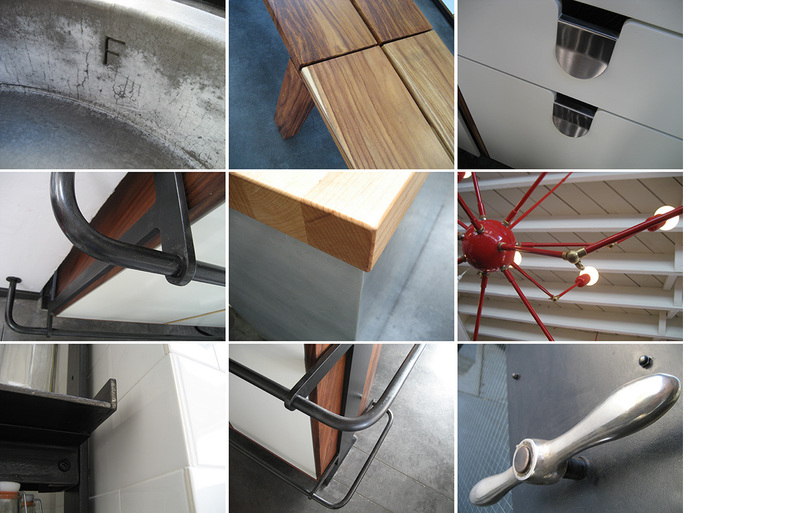 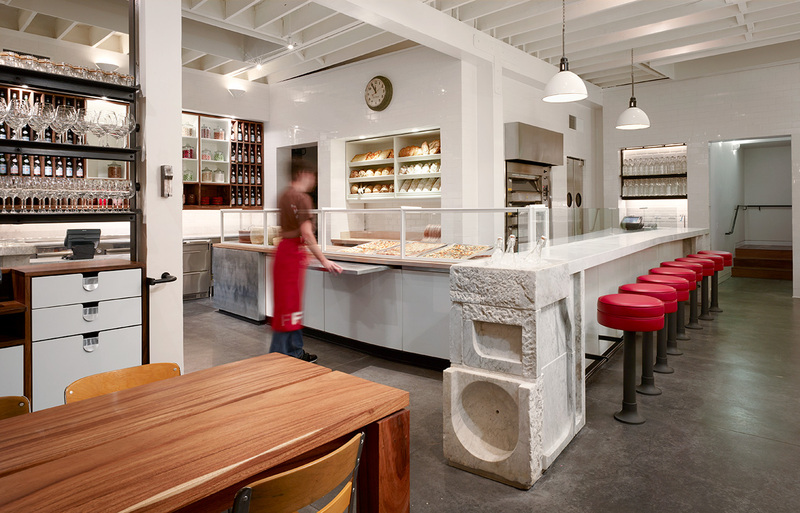 All elements of Farina including the curving storefront, marble counters, wooden furniture, and built-in casework were custom designed by Studio Terpeluk and executed by local fabricators.